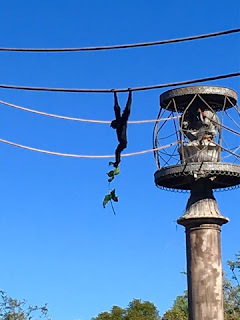 Some of the most fun I have at Animal Kingdom is watching the gibbons "hang around." 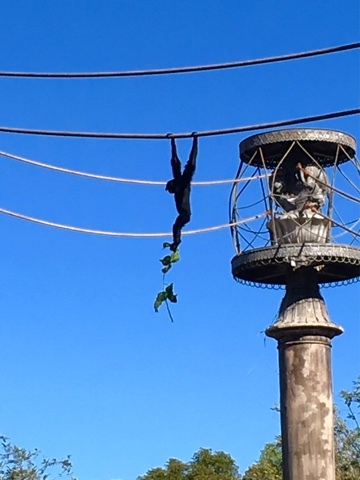 Asia is home to two Siamang Gibbon sisters. I spotted this one holding a rope with her hands and a tree branch with her feet. She obviously has no fear of heights as she was probably about 50 feet above the ground.